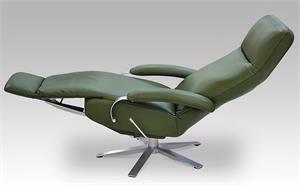 After a LONG time, I finally found the Lafer Recliners with a headrest that is adjustable for TV watching. The footrest that folds under the chair is great for my small condo and I love the fun leather colors. 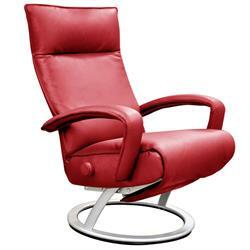 Demi Recliner Chair by Lafer Recliners is an Ergonomic Reclining Chair with Tubular, Silver Color Fixed Base - White Base can be special ordered. 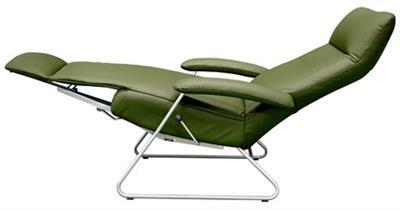 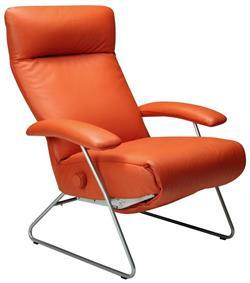 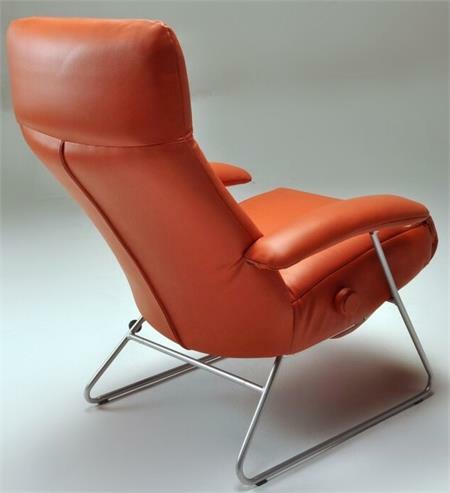 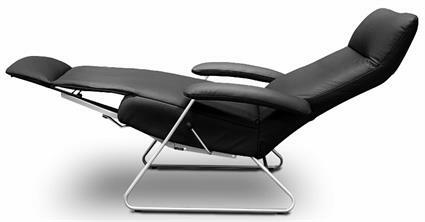 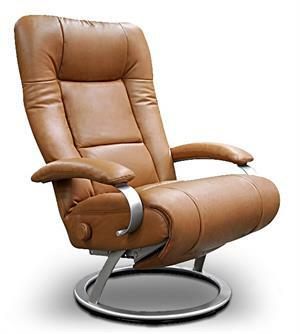 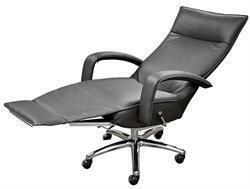 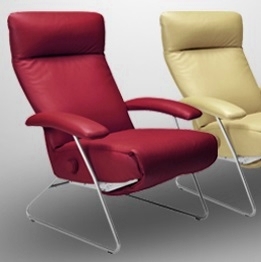 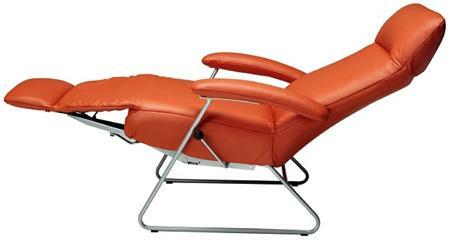 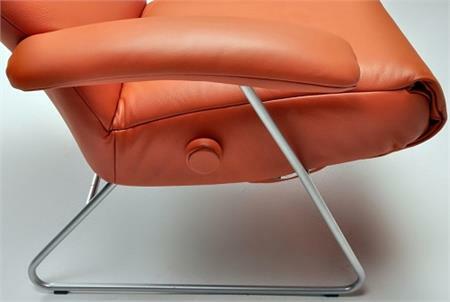 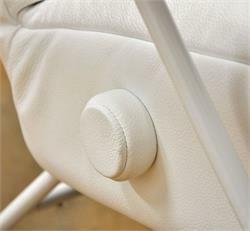 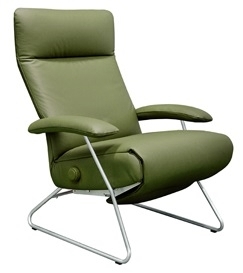 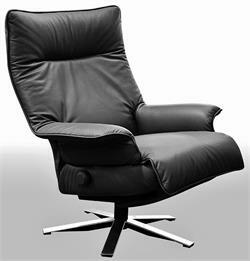 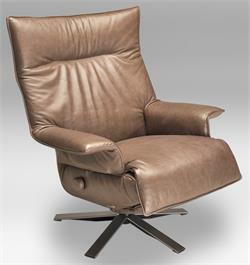 Modern Ergonomic Leather Demi Recliner by Lafer Reclining Chairs of Brazil. 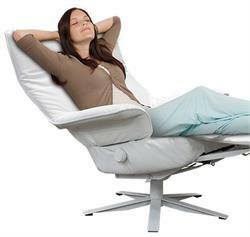 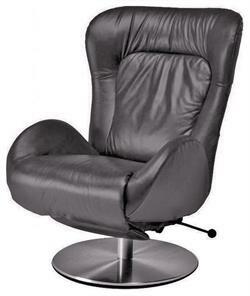 Similar to Adele Recliner but at a lower price point. If you prefer a swivel base recliner, see the other ergonomic Lafer Recliner styles. Demi Recliner Dimensions: 41" H x 30"w; 18.5 seat height; depth upright 31.5", depth reclined 66.5"